Euthanizer tells the story of Veijo Haukka – a man who is merciful to animals but ruthless to humans. Including himself. He is a 50-year-old mechanic, whose second job is to put sick pets to sleep. Petri Kettu has a problem with his dog. He tries to kill it, but doesn’t have the stomach to do it. He pays Veijo to do the job. The only problem is that Veijo doesn’t kill healthy dogs. Later on, Petri sees Veijo with the dog. The dog is happy and very much alive. Petri gets furious. He has paid for the killing and he won’t be happy until the dog is dead. The conflict escalates and things get ugly. In the end, the only innocent is the dog. 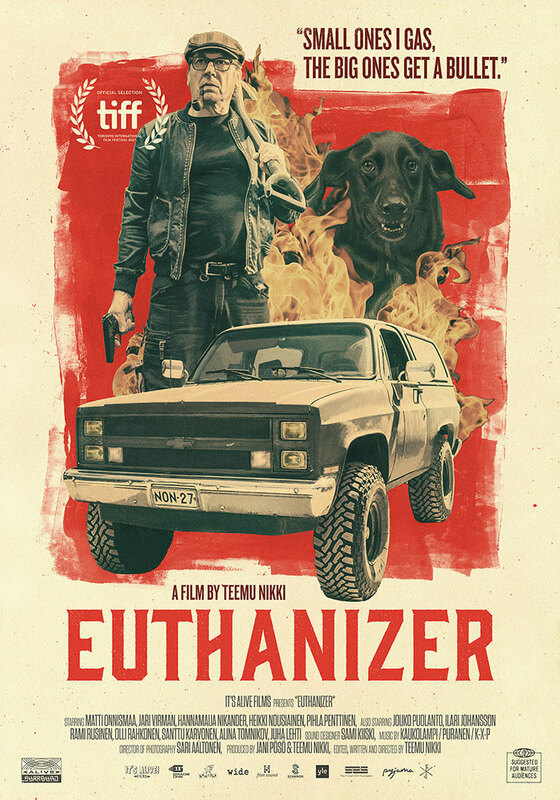 Euthanizer started as an idea – I decided to shoot a fiction film as if it was a documentary. This experiment opened my eyes and the project started to grow in a completely new way. The themes of the film revolve around suffering and death, but this story is not about goodness or evil – deep down, it’s about the stupidity of men.